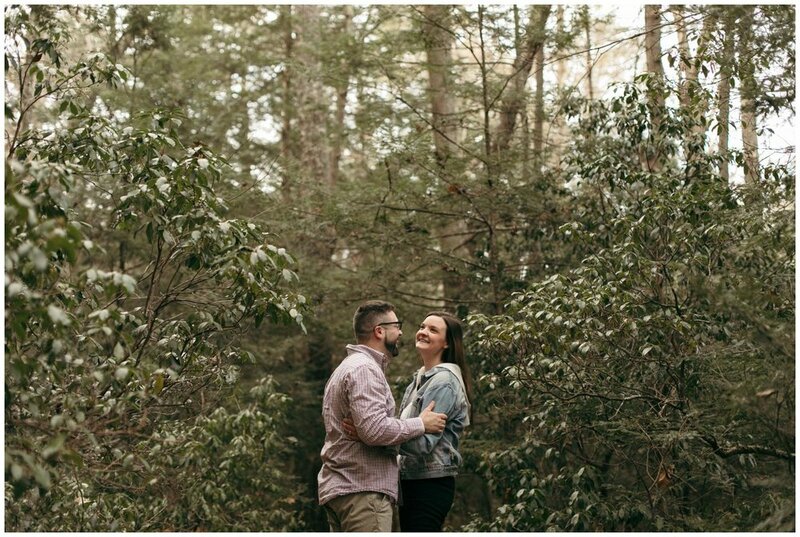 We had so much fun at Tessa & Paul’s engagement session in a state park & tree farm in Connecticut! 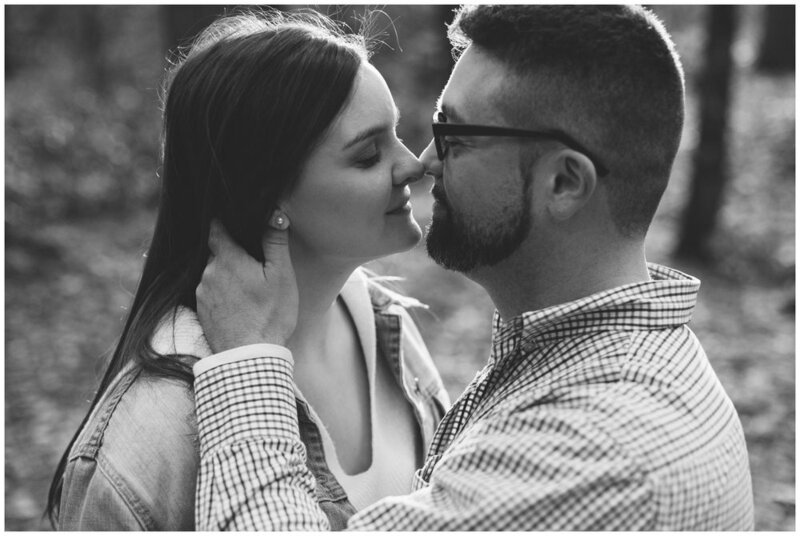 Since they have plans for a summer wedding, we figured doing a cozy winter engagement session would be the perfect compliment to their summery wedding photos. 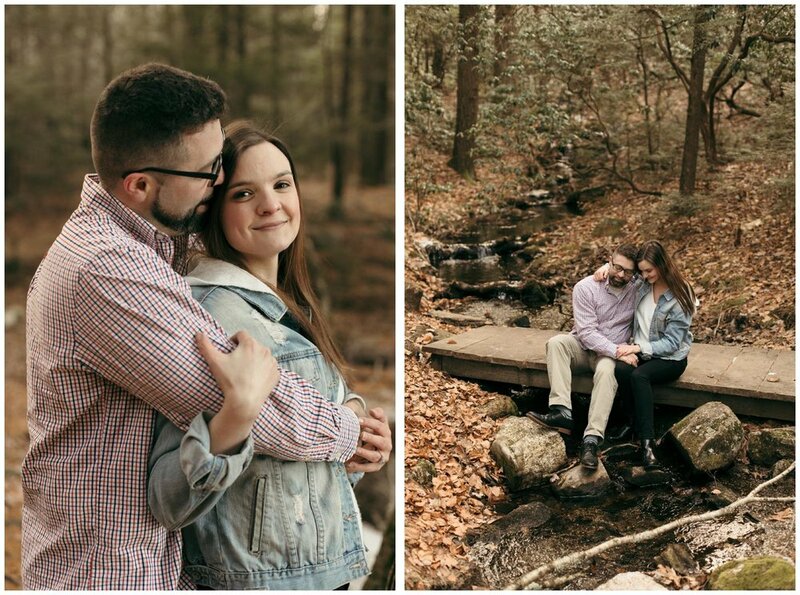 They both live right outside New Haven, so when we were looking for locations to meet halfway, I was reminded of another shoot I did with Marissa & John at BIGELOW HOLLOW STATE PARK earlier in the season (check it out HERE), and we decided to revisit it! I showed up in a full-on down coat, and they rolled up in a denim jacket & button down. 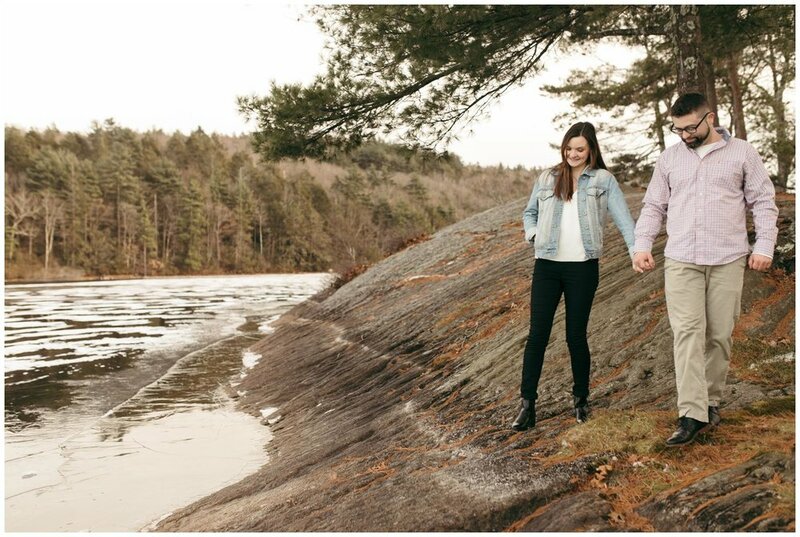 Not going to lie- I was pretty worried about them being cold, but Paul is originally from Vermont (where their wedding is next August) and they were totally game! 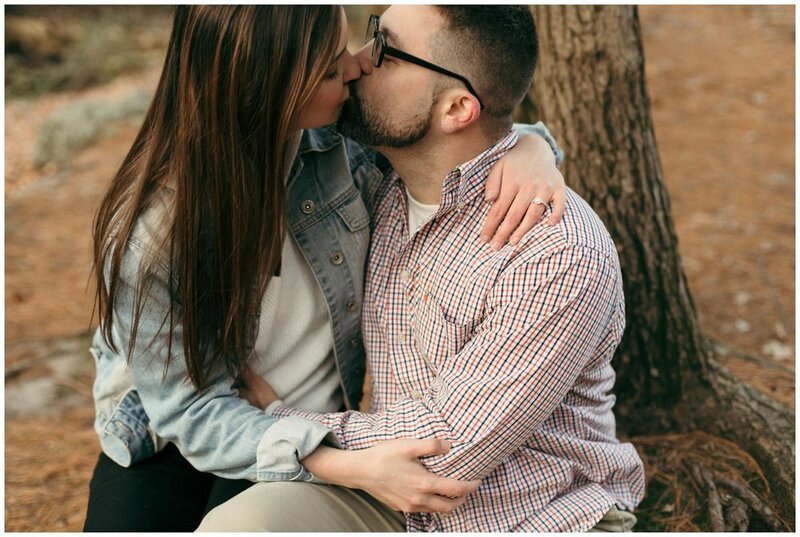 We roamed around the park for a bit, climbing rocks and making out in the bushes (well, them- not me.) And then we drove down the road to HANSEN FAMILY TREE FARM where there were more cuddles & cuteness amongst the Christmas trees at sunset. 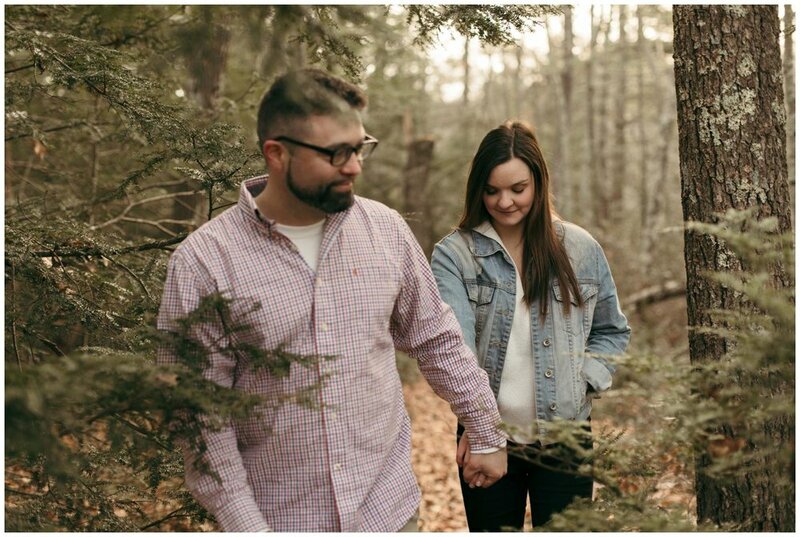 Excited for their intimate wedding at BARNARD INN in Vermont this summer!